1 Welcome the The Lost Ring ARG. 1.1 What is an ARG or Alternate Reality Game? 4 So where do I start? How do I get Involved? Welcome the The Lost Ring ARG. Maybe a friend told you about this, you stumbled upon a blog post, or maybe you saw a video.. but no matter how you got here, we are glad you came! This is the beginners' guide to understand what The Lost Ring is about and how you can quickly get up to speed and play with the rest of us. What is an ARG or Alternate Reality Game? An Alternate Reality Game is what brought you here right now. It's a relatively new genre of game that allows players (like you) to interact with a fictitious world using real world elements. If you have ever played Final Fantasy, Zelda, Myst, D&D or any other adventure type game, where you go around solving mysteries and puzzles in a fantasy world, you already understand the fictitious world part. Normally you follow the linear computer program story or a dungeonmaster pre-setup script to the end. What is different about ARGs is that the players are involved in determining what happens in the game and a real live person (called the Puppet Master or PM) controls how the story goes based on the interactions that happen. You use real life things like real phone numbers, character emails and forums and even real world locations where you may have to go and pick something up in your home town in order to help solve the puzzles of the game. Best of all? There is no cost to play! There is a very good explanation on GiantMice.com that gives an example if you are still confused. You can also view a more detailed description on Wikipedia here. What are the Olympics? Is that a question you can answer? If you think you can, take a second glance - are you sure? The Find The Lost Ring ARG is a project being run by a group of teams well-experienced in the ARG genre, including Jane McGonigal (of World Without Oil), AKQA (of Iris), sponsored by none other than McDonald's, and combined with the backing of the International Olympic Committee itself. Suffice to say, it promises to be a grand scale game, planning to unite communities from around the globe beyond any language boundaries. Its ultimate purpose and outcome is still unknown, but discovery is the fun of the game! It's estimated to run from March through August, with open arms - hoping to eventually count its players in the millions! You must -- absolutely must -- watch the first trailer. The shivers it gives you should be enough to get you hooked and give you an starting idea of what's going on around here. You can view it here, although it is worthwhile to visit the game's main site TheLostRing.com and watch or download the trailer in high quality. Find them for quick viewing on Youtube as well. There's a history to the Olympics that's been hidden for centuries - A series of events dating back to Ancient Greece that were somehow mysteriously erased and have long since been forgotten. Fast forward to today, Six individuals woke up in late February - all in various athletic attire, in various places (forms of Labyrinths, no less) with amnesia, blindfolded, and with a tattoo on their arms saying trovu la ringon perditan, or “Find the lost ring” in Esperanto (a language based on words common to all the European languages). Now the six are seeking our help to find out who they are, where they're from, what their purpose is, and just what the heck is going on around here. Expect to dig into legends, talk to people from various parts of the world, solve puzzles, research things online, learn about Greek mythology, study ancient Greek lore and philosophy - and don't forget that there's lot of 'new' stuff to learn that no one yet knows (at least, knowledge that has been lost to our modern civilization). Join with others around the world, communicating across language barriers - even learn Esperanto if you like - in an attempt to help our six amnesiacs 'save the world'. A ball of Yarn hiding a small slip of paper with a fortune and directing people to www.findthelostring.com. Since February 29th, those very things have been happening. Our heroine Ariadne was found at Findthelostring.com. Shortly after, five more people like her were found scattered around the net, having woken in similar circumstances. However, on the heels of these discoveries, we found a man named Eli Hunt - a historian who studies ancient Olympic mysteries. He called them the "Lost Games". His website TheLostGames.com is set up to share his research, including a few podcasts in which he quite articulately describes his research and finding about the ancient 'lost games'. Eli has secrets of his own. As predicted, "the secret" was found - a level to his research he kept private. He has decided to share his secret - a mysterious webpage system not run by him. The six amnesiacs have been the keys to discovering omphaloi (An Ancient system of navigation kind of like GPS), which appear to be pointing towards hidden artifacts. Ariadne found the first one in Cardiff, UK. It was in a package containing two pages of a document believed to called the Codex of the Lost Ring. This webpage has directed us to the locations of several chapters, hidden in places as far reaching as Johannesburg, Vancouver and Shanghai. Players are needed all over the world to find the future chapters...There are 27 chapters in total to find….. The Codex is describing how to play an ancient lost olympic sport - the Labyrinth run. But it's more than just a sport - the effects of successful synchronized labyrinth runs are far-reaching into the very fabric of our universe, synchronizing the realm of endless parallel realities, in an effort to keep them safe and stop the universe from crumbling under the pressure of too many unsychronized realities. Think of it like a clay pot - if it vibrates too fast and too long, bombarded with too much 'noise', eventually it'll crumble and break apart. Place a few fingers on the surface to reduce its vibration, and its life can be lengthened. The Codex describes how to avert the certain disaster of collapsing parallel worlds. How? No one knows... 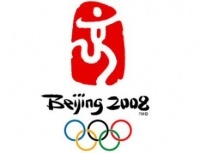 But August 24th is the date of the closing ceremonies of the Olympics in Beijing. So where do I start? How do I get Involved? There are no set rules you have to follow to start. For new players to an ARG it is helpful to note the commonly used acronym TINAG -"This Is Not A Game". Once you join in the fun you should not refer to the fact you are "playing a game". You should treat everything as real because the characters certainly will be. If you have not already, watch all of the trailers on the TheLostRing.com Website. Visit Eli Hunt's Webpage and view his podcasts about the History of the Olympics and The Lost Ring. Read the Codex of the Lost Ring to understand what our mission is and why it is important. Start reading the timeline - Catch up with the most recent developments. You can take the Personality Test to figure out your ancient strength (sofia, thumos, chariton, dikaiosune, sophrosune, or mythopoeia) and use the missions corresponding to each strength as a starting point for jumping in. Attend a Labyrinth Training Event - see if there are any coming up near you! Join a Community (see below) and start talking and meeting people from around the world who can help you get up to speed first hand. You may want to jump in where we're at right now and learn about the past events over time. Everyone's got a strength, a role to play in the community... if you're not sure of yours yet, unsure of what you can do or how you can join in, you'll soon find out. Don't be afraid of the story, don't be afraid of the puzzles, don't be afraid of the community. Although it looks like everyone knows what’s going on, Everyone was new to this story at some point. Help out, speak up, or just sit back and lurk (watch the games or board discussions without directly participating) Embrace it, explore, and have fun! One of the best ways to get involved is to have a look at the various communities of other people just like you from around the world who are involved in this. Depending on the language you're most familiar with, certain websites and communities may be more at home for you. Research and discovery is an ongoing process. Thankfully, there are some resources that are set up to help. At the very least, Google is your friend and Wikipedia rocks. On this wiki, the Glossary lists many researchable, mysterious, strange, ancient terms and such. As more is discovered, the more these things will connect and make a bigger picture. Review the timeline to research what you've missed and figure out what information is still missing and edit the wiki if you can. Well, if you have read this guide and followed some of the links, then you're with the rest of us. There are outstanding things we need people to help with, check that out too. Then join us, while we spread the word, eagerly and impatiently awaiting the next tidbit of information for our immediate consumption in our passionate and urgent effort to save the world.